Hello dear readers! In this round-up, please enjoy pieces for The Young Folks, the Humble Arts Foundation blog, and BUST! 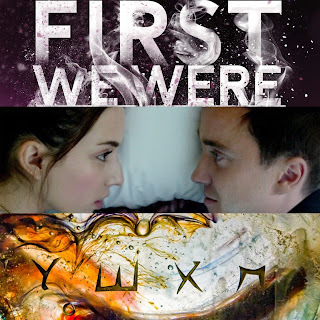 "Book Review: Alexandra Sirowy’s 'First We Were IV'." The Young Folks, August 23, 2017. "Because Izzie is telling the story of this fateful senior year after the fact, she’s free to manipulate how she recalls what happened, allowing her to come off as more neutral and practical than the fanciful Vivian or volatile Graham. Yet in the video diaries she and her friends make over the course of the Order’s existence, where we read verbatim transcripts of her plans and thoughts on basically creating a cult, she’s revealed to be just as devious and secretive as Graham and Vivian, whom Izzie grows to view with suspicion for—yep—being unforthcoming and lying by omission." " A Massive Mix of Work in Philadelphia Photo Arts Center's 2017 Members' Exhibition." Humble Arts Foundation, August 29, 2017. "A pairing of two crisp photographs by Betsey Hansell and Dore Vorum, for example, is cleverer than it initially seems. Here Comes the Sun by Vorum, is abstract, awash with slippery color residue and small air bubbles, while Hansell’s contribution, Untitled, is a more straightforward piece of nature photography, depicting a spray of green spiky leaves laid atop a ground of dry, cracked earth. Yet stepping back from the two works reveals that as different as they may seem, these two works match compositionally: both images are horizontally oriented, with a brownish form that stretches across the painting about four-fifths of the way down. Additionally, the sharp lettering on what seems to be a glass surface in Vorum’s photograph echoes the type of leaves that populate Hansell’s. This pairing is the strongest in the show overall because it does what an exhibition ought to: it makes you look hard at the works of art themselves, allowing you to see new things with each (in this case, comparative) glance." "Troian Bellisario's 'Feed' Is A Psychological Thriller Exploring Grief And Eating Disorders." BUST Magazine, August 30, 2017. "Feed’s IMDB summary reads: “Olivia and Matthew Grey are 18-year-old twins born into a world of privilege and high expectations. There are almost no boundaries between them; even their dreams are connected.” That description definitely buries the lede, so make no mistake: Feed is a horror movie (of the psychological sort rather than the stabby-bloody kind), written with consideration and acuity by Bellisario and directed by Tommy Bertelsen. Bellisario and Felton play Olivia and Matt, twins born into a wealthy but chilly family, meaning they’ve basically had to rely solely on one another for the support and love they needed growing up. Olivia is a classic type-A personality who immediately begins stressing out about her GPA at the beginning of senior year after she’s told she’s top of her class; Matt is much more relaxed and charismatic, unburdened with expectations of perfection. During a fight on the way home from a house party, where Matt hints at a disturbing level of possessiveness over his sister, their car gets into an accident. Matt dies, leaving Olivia behind, adrift and distraught, yet unable to let him go as she spirals rapidly into a breakdown."